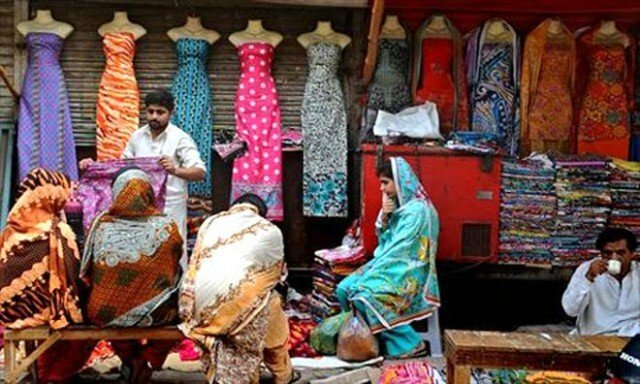 Women in Pakistan’s north-west Khyber Pakhtunkhwa province have been barred from shopping without a male relative. The decision was made by Islamic clerics and tribal elders during a meeting at a mosque in Karak district and announced over its loudspeaker. Most women in Pakistan’s tribal north-west cover their heads and bodies. The step is reportedly aimed at keeping men from being distracted during the holy month of Ramadan. It is not clear whether it will be lifted when it ends. The annual period of fasting and prayer this year falls in July. One cleric and tribal elder said the ban would be publicized using local mosques’ loudspeakers. “We have decided that women will not visit bazaars without a male relative,” the cleric, Maulana Mirzaqeem, was quoted as telling AFP news agency. “Those who will visit markets without male relatives will be handed over to police. The clerics have requested police help enforce their ban and called on shopkeepers not to serve unaccompanied women. One told Reuters news agency he feared the ban would be bad for business and the region’s reputation. “We never supported this ban and convened a meeting on Wednesday to protest over the clerics’ decision,” Reuters quoted the trader, Munwar Khan, as saying.